I have to say, thank you so much 4KMedia Inc and Crunchyroll for providing us with the official subs for this anime. But I do have one problem.. it really reeks laziness. Please, don’t be like this!! There’s been multiple occasions in the sub where you can clearly tell a character says much more than the dialogue displays. Sometimes it’s cut down and there’s no really any.. well, “feeling”. I’ve seen fansubs myself and even they add detail to their illegal translations for properties they do not own. I’m happy to see you guys are using the English names for cards and all, but please, don’t be lazy when you’re translating this anime. Try to stay true to the original as possible, such as when characters use phrases for playing their cards. “Advance Summon”, “Draw”, “(Monster name), summon!”, and “Reverse card, open!” is all you ever really hear during duels and you come to know what they mean as you watch the show, but the sub sometimes add extra dialogue or entirely different text. I appreciate you guys are using English phrases but again, it would be nice to see some more work on staying true to the original speech. I really do hope the subtitles improve because I know 4KMedia is capable of introducing the best experience for Yu-Gi-Oh! i dont understand why in my region where it was originally brought to it wont allow me to watch it on crunchyroll so messed up !!!!!!!!!!!!!!!!!!!!!!!!!!!!!!!!!!!!!!!!!!!!!!!!!!!!!!!!!!!!!!!!!!!!!!!!!!!!!!!!!!!!!!!!!!!!!!!!!!!!!!!!!!!!!!!!!!!!!!!!!!!!!!!!!!!!!!!!!!!!!!!!!!!!!!!!!!!!!!!!!!!!!!!!!!!!!!!!!!!!!!!!!!!!!!!!!!!!!!!!!!!!!!!!! Showed this at our library's anime/manga club finale. I couldn't believe how much the teens enjoyed it. We combined it with old Yu-Gi-Oh! cards from a few years ago, and they had a great time watching the anime & playing the video. It was favored more by guys than the girls, but both watched it--even with other activities being offered. It has also helped promote the manga in our library collection. I used to watch this when I was a kid. It was motivational, and during a time in my life when things where going bad, this show taught me to keep hope and keep moving on. Watching this again as an adult with my son (an 8yr old), I personally still find it enjoyable and funny. It still teaches great lessons forward​ little ones. The graphics/art are clearly old and outdated, and the writing/script can make you cringe​ with it's cheesiness. For us adults who grew up with show, it's something we might watch with nostalgia, but it's not a show I would recommend for the new age group coming into anime. They might get bored or irritated with the show. i grew up watching the show on the morning block of Saturday shows for kids. and while most do not consisted this a anime it actually has opening and ending like many other 90's anime imports like Pokemon. 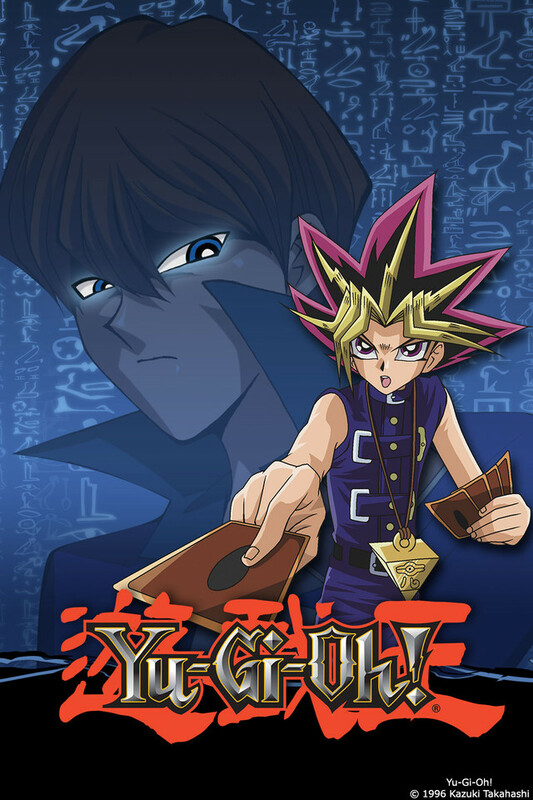 i love the fact that it brought a great card game loved by millions with really great quotable lines. i love that it now a competitive interactive sport in japan like in the show. it a great anime that has a lot of spin-offs try it out. It means a lot to this day. This show is everything someone would want to see. It has great characters that you can relate to and an amazing storyline. As an adult I still play the game introduced to me by the show, and continue to watch the newer ones, but as good as they are it's hard to beat the classics, GX included. Definetly recommend it to anyone looking for a nice anime to watch!